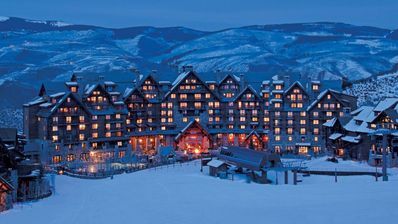 Come to the exculsive Beaver Creek Resort, 'A European-Style Village Nestled in a Mountain Valley,' it is a world class ski and golf resort located in North America. 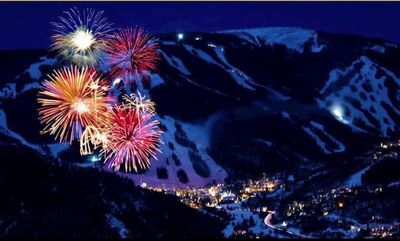 Beaver Creek has World Cup Mountains and it is perhaps the very best of luxury family skiing earning accolades of awards for food, wine & service. 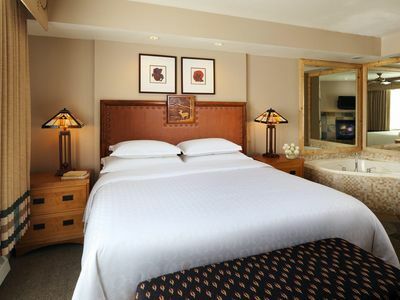 This is a dream come true vacation for a romantic get away or a family bonding experience. 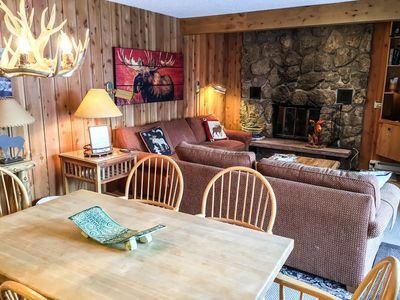 Enjoy accommodations along the river's banks at this ski in/ski out Condo. An outdoor ice skating rink, exceptional dining, internationally recognized arts and entertainment, a pedestrian shopping village and a superb outdoor hiking, biking and golf experience await you during the spring and summer months. 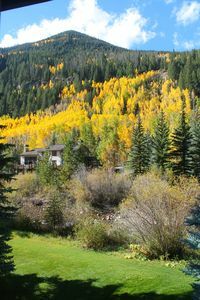 Townsend Place at Beaver Creek is adjacent to the creek and only a short walk along its banks to the village. Ski directly to Chair #14, the Elkhorn Lift, or take the on demand free shuttle to the Strawberry Park or Centennial Lifts. The ElkHorn Lift (approx.40 Yards) & Centennial Lift (approx. 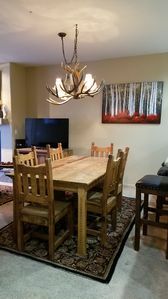 50 Yards)are both less than 100 yards from the condo. 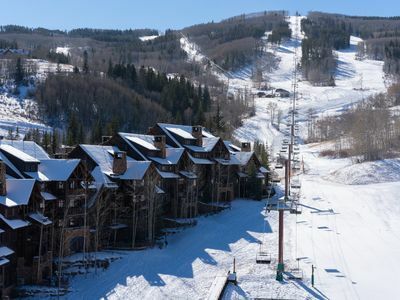 Ski village-to-village between Beaver Creek, Bachelor Gulch, and/or Arrowhead and complete the day by skiing back to your Condo at Townsend Place. 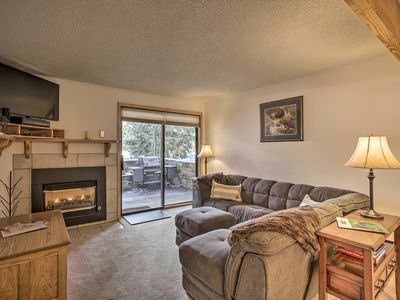 In addition to ski in/out, these accommodations offer maid service, ski storage, covered parking, outdoor hot tub, wood burning fireplace, fully equipped kitchen, a balcony with creek and mountain views accessed off of the master bedroom and the living room. 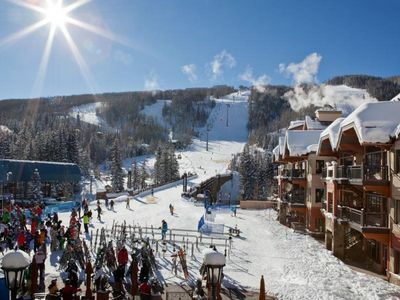 Beaver Creek offers on demand, complimentary resort transportation anywhere 'behind the gates' In addition, Beaver Creek and Townsend Place are proximate to twelve golf courses suitable to players of all ability levels. 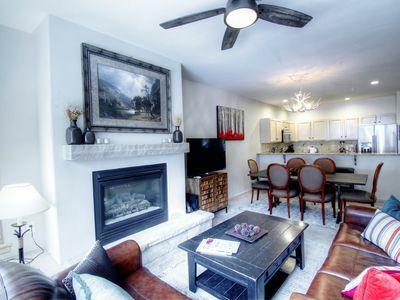 Townsend Place is steps from the heart of the Village’s famed shopping, dining performing arts center and family ice skating rink. 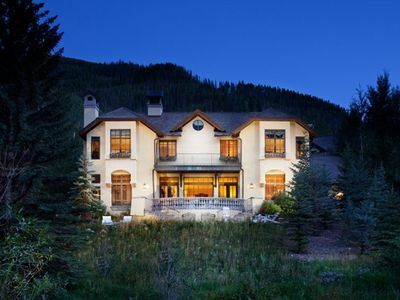 Summer activities include golf, hiking, fishing, horseback riding, river rafting, and biking. 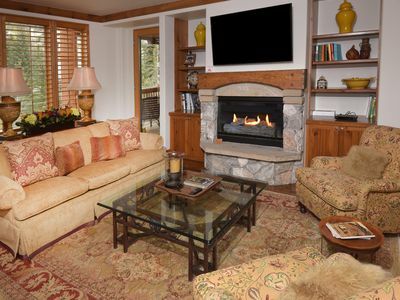 On-site amenities: Wood-Burning Fire Place, Cable TV with free on demand movies. 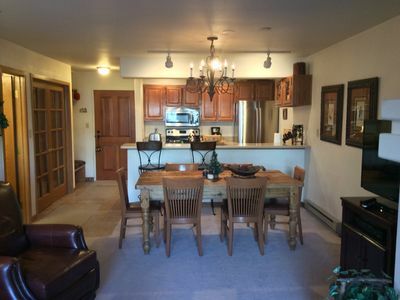 TVs are in both Bedrooms and Living Room, VCR/DVD/CD Stereo, Full Kitchen includes basic cleaning supplies, Refrigerator With Ice Maker, Microwave, Dishwasher and Lots of Cooking Utensils. Linens Provided. Blow Dryers, Shampoo etc. 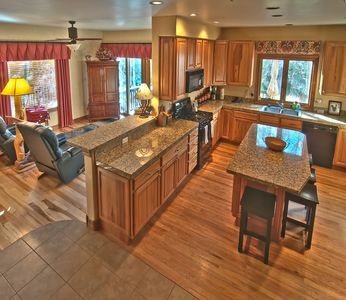 Outdoor Hot Tub, Complimentary Resort Transportation~Within The Gates, Maid Service Available, Non-Smoking. 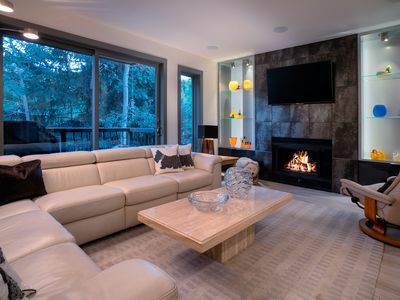 Activities (on site or nearby): Hiking, Rock Climbing, Biking, Golfing, Hunting, Wildlife Viewing, Fishing, Horseback Riding, Downhill Skiing, Rafting, Swimming, Sightseeing, Cross Country Skiing, Snowmobiling, Sledding and Snow-shoeing, Shopping, Restaurants, Cinemas. 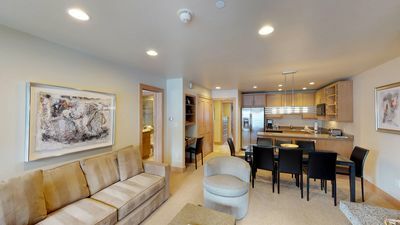 You will enjoy every second of this warm, elegantly decorated condo. You will come back time and time again. 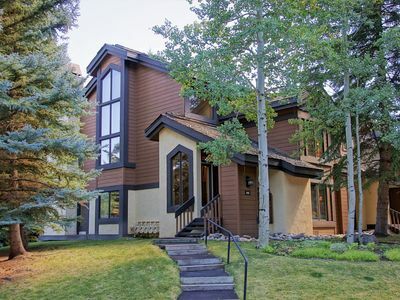 Beautiful 6 Bedroom, 6 1/2 Bath Beaver Creek home with convenient access to FUN! 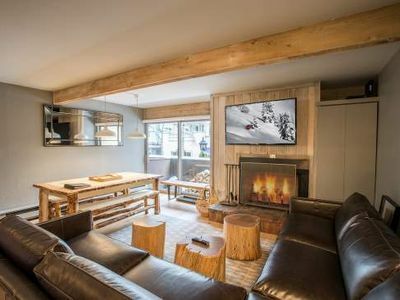 RARE Sleeps 16! 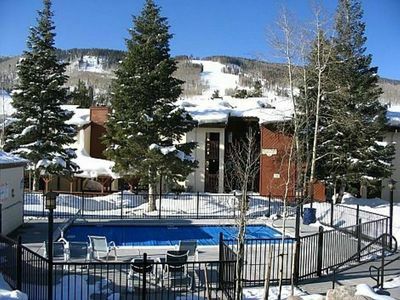 Ski-In/Ski-Out Mountain Chalet | Access 2 Hot Tubs!